First released in 2007, The Web Design Business Kit has become the bible of the web development industry. 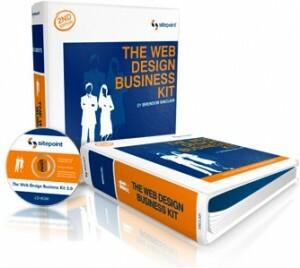 The kit has two huge binders, packed with useful advice and guidance on how to run a successful web design business. There are detailed walk-through’s on client scenarios and contracts, and contains 73 essential Web Business documents. The kit comes with CD containing electronic versions of every document in Word and Excel formats, ready for you to customise.